As usual, the hot stove league has ground to a halt in January, except in the past it happened because all the top free agents had signed. Nowadays it’s because no teams want to spend money. Have we reached the point where signing free agents is a market inefficiency? Possibly! Anyway, earlier today we discussed the Yankees’ continued interest in Adam Ottavino. Now here’s the latest hot stove rumblings. Here we go again with the “they haven’t made an offer yet” stuff. 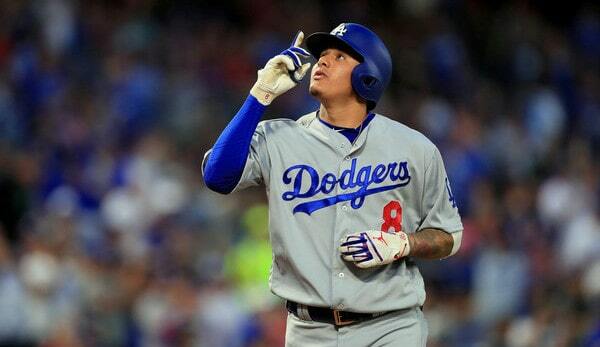 According to Ken Davidoff, the Yankees have not yet made a “concrete” offer to Manny Machado. For what it’s worth, Bob Nightengale reported the White Sox made Machado a formal offer last week, and Jim Salisbury says the Phillies are still negotiating with Machado, which indicates no offer has been made. Davidoff says the Yankees and Dan Lozano, Machado’s agent, are not far along enough in talks to make a formal offer. The offer stuff gets overplayed every offseason. The important thing is the two sides are talking. Should they get to a point where they’re close on money, the Yankees will put a piece of paper in front of Machado (they’ll send an electronic document to his iPad, really) and move forward. I mean, does anyone really think the Yankees will lose out on Machado simply because the White Sox have a formal offer in front of him and the Yankees don’t? If Machado wants to be a Yankee, they’ll work out the contract terms, and he’ll wait on the offer. According to Davidoff, the Yankees are not seriously shopping Miguel Andujar. 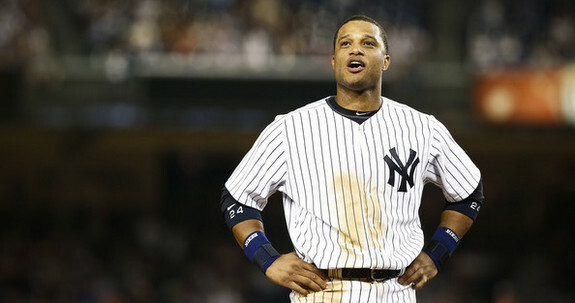 It has been reported throughout the offseason that the Yankees are open to trading him. Both of those things can be true. The Yankees can be open to trading Andujar — I’m certain they’re open to trading a lot of players should the right offer come along — without actively shopping him and pushing him in trade talks. Also, keep in mind these things can change in a hurry. If the Yankees manage to sign Machado, they could turn right around and begin to push Andujar in trade talks in an effort to address other needs. I don’t love that idea — the more high-end bats the better, and the Yankees could easily make room for Machado and Andujar on the roster — but it is a viable option. Overall, there is too much “trade Andujar” talk for my liking. He’s really good! The Yankees should be keeping really good young players, even if they are flawed. The last Sonny Gray non-update: Jon Morosi reports the Padres still have interest in acquiring Gray. Brian Cashman walked back his repeated “we’re going to trade him” comments last week on account of CC Sabathia’s angioplasty. Cashman said the Yankees slowed down their Gray talks following Sabathia’s procedure because the team wants to make sure they’re covered. Sabathia has follow-up exams coming that will clarify his status. Sabathia’s condition certainly changed the equation, but clearly, the Yankees did not consider Gray a viable rotation option earlier this offseason, and nothing’s really changed on his end. He’s the same old Sonny Gray. If the Yankees didn’t consider him a rotation option before, they shouldn’t consider him one now. I suspect the talk about holding onto him following Sabathia’s procedure is just that, talk. I expect the Yankees to continue pushing Gray in trade talks and likely move him before Spring Training, regardless of Sabathia’s condition. They’d find a depth starter elsewhere. Sixteen teams were interested in Troy Tulowitzki following his workout last month, and, to bring him to the Bronx, the Yankees gave Tulowitzki a full no-trade clause, reports Jon Heyman. This is largely inconsequential. First of all, it is unlikely Tulowitzki plays his way into any real trade value. Secondly, if Tulowitzki does play well enough to have real trade value, the Yankees would probably want to keep him because depth is cool. Need it to contend. And third, Tulowitzki will make the $555,000 league minimum. If he’s that much of a roster clog and he’s unwilling to accept a trade, the Yankees could just release him and eat the money. Doing that with a player making $10M is a tough pill to swallow. The league minimum? No, who cares. The no-trade clause gives Tulowitzki some peace of mind and comes at no real cost to the Yankees. His low salary makes it easy to dump him should a roster spot be required. What will we remember about the 2018 Yankees? Over the last two years, ESPN’s Sam Miller has gone through Major League Baseball history and tried to determine the part of each baseball season that will live on years from now. His 2018 post included potential candidates like gambling’s legalization, the opener strategy and Shohei Ohtani, among other options. It’s more than worth the read. For the Yankees, 2018 was a memorable but not unforgettable season. There are plenty of moments from 2009 or other years that will live on not just in the current crop of Yankees fans’ memories but in the next generation. Instead, this past year will likely sit as either just a year building up to an eventual title for the current core or a disappointing what-if within a championship drought. The Yankees set a few home run records in 2018 and none more significant than the all-time single-season mark of 267 homers, surpassing the 1997 Mariners’ total of 264. There was chatter when Giancarlo Stanton was acquired in Dec. 2017 that the Yankees would break this record, but actually pulling off the feat was a sight to behold. The Bombers unleashed a series of breathtaking dingers on baseball with Giancarlo leading the way with 38, though Aaron Judge, Aaron Hicks, Didi Gregorius and Miguel Andujar each hit 27. Records definitely have some staying power, even combined efforts. We remember win records from the 1998 Yankees and 2001 Mariners and four 20-game winners for the 1971 Orioles. This has the potential to be the record for some time as the league home run total fell by 520 from 2017 to 2018 and it could fall further. However, there’s a simple reason why this record may not last in everyone’s memories; It might get broken… and soon. The 2019 Yankees could have a full year of Judge to go with an improved Stanton and Gary Sanchez, not to mention Manny Machado. 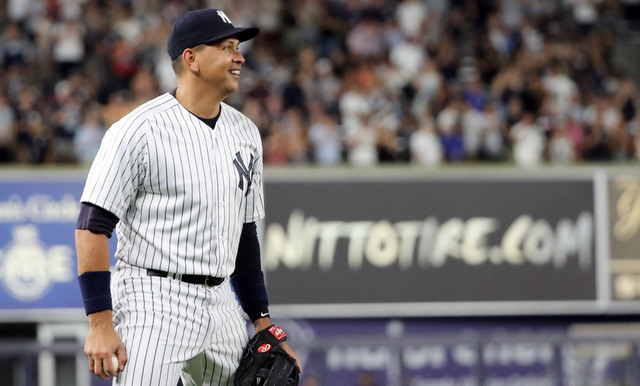 The current juiced ball era leads one to believe home run records can fall and this one is no exception, whether by next year’s Yankees, another team in this era or one in a high-flying future in baseball history. If this doesn’t happen, then this record is the easy answer. Miguel Andujar came into 2018 as the overshadowed rookie in the Yankees’ plans, starting the year in Triple-A as Brandon Drury took the reins at the hot corner. However, Drury was soon Wally Pipp’d and Andujar seized the opportunity, nearly winning Rookie of the Year despite his poor defense. In addition to his 27 homers, which rank third all-time for a Yankees rookie, he broke Joe DiMaggio’s franchise record for doubles by a rookie. Even though Andujar walked infrequently, his palpable impact buoyed the Yankees at times. 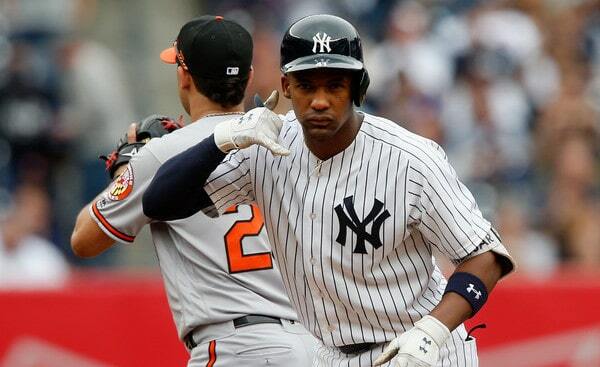 Why would Andujar’s year be remembered well into the future? Well, 2018 could be the beginning of an accolade-laden career in the Bronx with Andujar just 23 years old right now. Even though he debuted in 2017, this would be the year the next generation knows, just like how Derek Jeter’s 1996 overshadows his 1995. Of course, the issue here is that Andujar may not be long for New York. The team’s pursuit of Machado casts doubt on his future on River Avenue and his name swirls in trade rumors as you read this. Even though his rookie season was remarkable, Andujar’s spot in Yankees’ lore is murky without more time. When I think about what will live on from the 2016 and 2017 Yankees, it boils down to two people: Sanchez and Judge. Sanchez’s breakout August in 2016 was record-setting for a rookie slugger while Judge’s stature and power simply took over the 2017 season. Perhaps Didi Gregorius’ Wild Card Game homer will be played for years to come, but I can guarantee Judge’s 52 homers in his rookie season will be notable, even if he surpasses that total in subsequent seasons. (For the record, it should have been 53 homers). And that’s why Torres’ debut, while less flashy than Andujar’s, could be what stands out from 2018. As the Yankees have assembled their current core, each new piece has found a way to stand out in turn and Torres was no exception. The first of his two walk-off hits pad the case for his 2018 to be remembered. Look at the photo at the top of this piece. Torres pointing back to the Yankees’ dugout after his game-winning three-run homer against Cleveland was the gif/screenshot-able moment that sticks out. Your browser does not support iframes. Unlike Andujar, he comes without the defensive shortcomings and even had some highlight-reel plays to go with a few miscues. Gleyber has staying power with the Yankees’ core as it’s clear the front office wants to keep him indefinitely. If Sanchez finds his footing and rebounds to the levels he showed in 2016 and ’17, his 2018 will read like a WTF moment. Looking at his Baseball Reference page will cause those unfamiliar with him to immediately ask, “What happened that year? Why did he hit .185 and forget how to hit?” Not that he touches the following players’ levels, but it’s reminiscent of Babe Ruth’s 1922 and Derek Jeter’s 2003. However, the lasting legacy of Sanchez’s season might actually have been his last plate appearance. Down two, Sanchez hit a towering fly ball to left field at Yankee Stadium, falling 10 feet shy of a walk-off grand slam to win ALDS Game 4. As you surely know, the Red Sox would eliminate the Yankees just one batter later and go on to win the title. If Yankees don’t win a championship in the next few seasons, there will be a lot of looking back and wondering how they didn’t break through. Fans will examine just how close they came. The Bombers were on the precipice in Game 6 and 7 of the 2017 ALCS in Houston, but Sanchez’s fly ball to nearly beat the archrival Sox could sear into fans’ memories, particularly if Sanchez’s decline further hampers the Pinstripers’ championship hopes in future seasons. Ugh. Like the last one, I hate to mention this, but the Yankees lost by 15 runs to the Red Sox. At home. In the playoffs. This game had everything: The first playoff cycle, Austin Romine pitching, Dan Cortese. Within a dominant postseason for the Red Sox, the 16-1 beatdown stuck in the Sox’s minds enough that Alex Cora brought it up at the championship parade. Why would this not last? Brock Holt getting the cycle instead of a potential Red Sox lifer like Mookie Betts or Andrew Benintendi hurts the case, as does the hectic final innings of Game 4. For some reason, the blowouts often just fade away, particularly if they aren’t the closing game of the series. However, I’m not sure the Red Sox and their fans will willingly let the Yankees faithful forget this savage destruction in the short term. After coming over at the deadline, Luke Voit tore the cover off the ball for the final two months of the year. He hit 14 home runs in just 39 games and batted .333/.405/.659 before hitting a game-sealing triple in the Wild Card Game. He went from the Cardinals’ third-string first baseman to a fan favorite, getting his name chanted at every home game. Essentially, Voit was the Shane Spencer for a new generation, albeit more union-friendly and fewer championships. We still remember Spencer two decades later, though he may fade with time. Spencer never hit more than 12 homers in a season after slugging 10 in 27 games in ’98, making his season standout even more. What Voit does remains to be seen. If I had to wager what we’ll remember about the 2018 Yankees, I’d say Torres’ rookie season. His stable place on the Yankees’ roster portends a long and storied career and his All-Star 2018 was the start of it all. Andujar and Voit don’t seem destined for Monument Park and could very well be donning new uniforms by Opening Day 2020. Meanwhile, the home run record is bound to be broken. As for the playoff moments, the Yankees’ championship window remains wide open and 2018’s short run likely concludes as a prelude to something grander. The 16-1 beatdown doesn’t have the staying power of the Red Sox’ Game 4 wins in the ALCS and World Series, or the run as a whole. I also wouldn’t rule out something not mentioned above. Judge getting showered with cheers during his September return or the Tyler Austin-Joe Kelly brawl or something completely out of left field could surpass all of my suggestions. After all, the history has yet to be written. Squint your eyes and you can see the makings of a powerhouse. The Padres have the game’s best and deepest farm system, much like the Yankees a year or two ago, and the Yankees rode that farm system to quicker than expected contention in 2017. San Diego’s farm system is absurd. They don’t have the same financial resources as the Yankees, but their prospect base is the best in the sport. All winter long the Padres have indicated they want to use that prospect base to improve their big league roster. They’ve been connected to Noah Syndergaard and Corey Kluber, among others, so they’re not thinking small. It seems weird, a rebuilding team trading prospects for a veteran, but not every prospect will work out and it’s only smart to cash some in as trade chips before they flame out. The tricky park is knowing who to keep and who to trade. Among the players the Padres have expressed interest in this offseason is Miguel Andujar. Ken Rosenthal and Jon Heyman recently reported San Diego has Andujar on their radar, and remember, they wanted Andujar for Brad Hand at the trade deadline. The Yankees are said to be open to moving their young third baseman, though that was within the context of that potential Noah Syndergaard/J.T. Realmuto three-team blockbuster. It makes sense that San Diego would have interest in Andujar. For starters, he’s really good, and he’s under control another five years. Every teams wants a Miguel Andujar of their own. Secondly, the Padres haven’t had a steady full-time third baseman since the first time they had Chase Headley. Nineteen different players played at least one game at third base for the Padres over the last four seasons. Nineteen! Andujar would put an end to that revolving door. The Padres have pretty much everything a team could need in their farm system except a soon-to-be MLB ready third baseman. Yeah, they could put top prospects Fernando Tatis Jr. or Luis Urias at the hot corner, but those guys are middle infielders, and they’re going to remain there. Putting one at third opens upon a hole on the middle infield. The Padres need a third baseman and Andujar is one of the top young third basemen in the game. It fits. Andujar is a great fit for the Padres. The Padres are not a great fit — or even a good fit, I’d say — for the Yankees as a trade partner. Why? Their Major League talent base stinks. It stinks. Lefty reliever Jose Castillo is pretty awesome but you can’t trade Andujar for a package fronted by a reliever. Eric Hosmer just hit .253/.322/.398 (95 wRC+) and has seven years and $124M remaining on his contract. Wil Myers gives you Andujar defense without Andujar offense. Outfielders like Manny Margot and Hunter Renfroe don’t make much sense for the outfield heavy Yankees. The Padres don’t have much else to offer. San Diego’s farm system is incredible and, in a vacuum, they could easily cobble together a prospect package good enough to get Andujar. This isn’t a vacuum though. The Yankees are the ultimate win now team and they can’t trade their starting third baseman (and one of their top hitters) for prospects. Sign Manny Machado to play third and trade Andujar for prospects? Okay, but why not sign Machado and keep Andujar at his near league minimum salary and not weaken the MLB roster? Crazy, I know. Anyway, if the Padres want Andujar, there’s really only way this makes sense for the Yankees. It would have to be a three-team trade. Andujar to the Padres, Padres prospects to some third team, and a big leaguer(s) from that third team to the Yankees. Something like that. Andujar to the Padres, prospects to the Mets, Syndergaard to the Yankees. It would have to be something along those lines. Even then the Yankees would almost certainly have to sign Machado to come out ahead and not just break even. I suppose the Yankees could trade Andujar for prospects and then trade those prospects for MLB help at the later date. That’s not really a three-team trade but it kinda is. My point is, the Yankees shouldn’t trade Andujar simply to restock the farm system. I know his defense is bad, believe me, but that’s a terrible reason to trade him for prospects and weaken the MLB roster. The Yankees need Andujar to contend in 2019. Why trade for a potential future Andujar when you have the real Andujar right in front of you, ready to help you win games? The Yankees have built an enviable young position player core in a relatively short period of time and I am all-in on building around bats. Build around bats and buy pitching, especially when you have the Yankees’ financial firepower. I’m not saying I would make Andujar untouchable. Hardly. I just wouldn’t trade him for prospects. I want an impact big leaguer(s) in return and the Padres have literally none to offer. Their best trade currency is prospects, and unless the Yankees and Padres can figure out a three-team deal, sending Andujar to San Diego for prospects is a step backwards. There are less than two weeks to go in 2018 and the Yankees are still searching for a Didi Gregorius replacement and bullpen help. At least they’ve got their rotation sorted out. Anyway, here are the latest hot stove rumblings. As expected, Manny Machado visited Yankee Stadium yesterday as part of his free agent tour. Here’s the obligatory scoreboard photoshop. He visited the White Sox on Monday and is visiting the Phillies today. George King and Jon Heyman report Machado met with Randy Levine, Brian Cashman, Aaron Boone, and new special advisor Carlos Beltran — CC Sabathia was also at the ballpark, though he works out there in the offseason, and I’m not sure whether he actually met with Machado — and everyone went out to dinner last night. Same deal as Patrick Corbin a few weeks ago, basically. The Yankees and Hal Steinbrenner have made a pretty big deal about Machado having to explain his non-hustle comments when they meet face-to-face, so I assume that happened during the 90-minute meeting at Yankee Stadium yesterday. I have no idea what he could’ve said to make everyone happy, but whatever. Machado is certainly familiar with the ballpark from his time as a division rival — he’s the first and still only player to hit a ball into the camera row in center field — so the visit wasn’t so much about touring Yankee Stadium. He knows the park already. The meeting was about both sides getting to know each other in a way they couldn’t as opponents. The Yankees were among the eleven teams on hand earlier this week to watch Troy Tulowitzki work out in Southern California, reports Tim Brown. Tulowitzki fielded ground balls at shortstop and took batting practice during the workout. “I have no idea (what teams are interested). I don’t control that. My job’s to be accountable, to play the game. Time will tell. Talk is talk,” he said. Tulowitzki hasn’t played since July 2017 due to various injuries. According to Brown, Tulowitzki said he’s willing to play second or third base, but he has no interest in being a utility guy. He wants to start. The Yankees could offer Tulowitzki a middle infield spot until Gregorius returns — I’d rather put Tulowitzki at second than short at this point of his career — though it’s awfully risky given his injury history and the fact he hasn’t hit at a league average rate since 2016. In a vacuum, signing Tulowitzki makes sense. 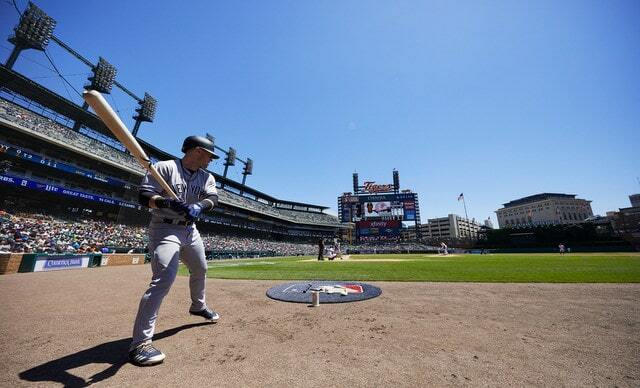 In reality, it seems the Yankees need more of a sure thing and Tulowitzki needs a stronger playing time guarantee. Rival executives are convinced the Yankees want to trade Miguel Andujar this offseason, according to Ken Rosenthal (subs. req’d). The Padres are seen as a potential landing spot. Keep in mind this is a secondhand rumor. Rosenthal’s passing along what he’s heard about the Yankees from other teams, not the Yankees directly. 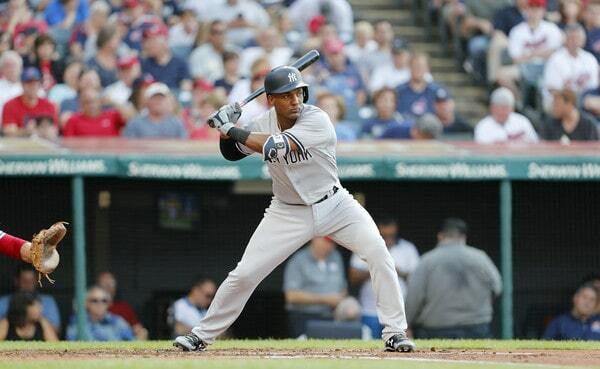 We heard last week the Yankees are open to moving Andujar, though that was as part of the reported J.T. Realmuto-Noah Syndergaard three-team blockbuster. I am open to trading Andujar in the sense that I am open to trading pretty much any player in the right deal, and for a guy like Miggy, the right deals mean getting an absolute stud in return. Trading Andujar simply because they don’t believe he’ll ever improve defensively would be a mistake. The offensive potential is special. Keep all the young bats. All of ’em. Build around the young bats and spend money on pitching. If you spend money on a pitcher and he breaks, so what? The Yankees print money. Trade a young bat for a pitcher and he breaks, well, you’re not getting that bat back. The Yankees have checked in on free agent lefty reliever Aaron Loup, reports Dan Martin. Interestingly enough, Loup was among those high spin, high swing-and-miss rate relievers I identified earlier today, so I guess it makes sense that they checked in on him. Loup owns a career 3.49 ERA (3.49 FIP) with a 21.7% strikeout rate in 322.2 innings, almost all with the Blue Jays. He’s a pure situational reliever who’s been much better against lefties (.278 wOBA) than righties (.329 wOBA). A few years ago I would’ve been cool with signing Loup as a left-on-left matchup guy. Not so much now though. Lefty specialists are starting to disappear because using a precious roster spot on a player with such limited utility doesn’t make a whole lot of sense. Starting pitchers are throwing fewer and fewer innings with each passing season and teams are carrying eight full-inning relievers nowadays. Guys like Loup, who is a good but not truly great matchup guy, are becoming harder to find. I’d be surprised to see the Yankees carry someone like Loup next year. According to Rosenthal (subs. req’d), lefty J.A. Happ turned down at least one contract offer with three guaranteed years to return to the Yankees. It’s unclear which team made that offer. The Phillies and Braves were said to be in the mix, as were the Angels, who Jeff Fletcher says offered two years and $28M with a third year vesting option. Happ returned to the Yankees on a two-year, $34M contract with a $17M third year option that vests with 27 starts or 165 innings in 2020. “The chance to win was high on (my) list. I feel like this was a place that you come to the ballpark to win every day. I really appreciated that. I feel like it was a good fit to come back,” said Happ to Bryan Hoch earlier today. There have been a few instances of players taking less money to sign with the Yankees in recent years — Andrew Miller turned down more money from the Astros and Chase Headley turned down more money from an unknown team — and it seems Happ did the same. (Surely the three-year offer was worth more than $11.1M per year, right?) The $17M annual salary did seem a little high to me, and I assume the Yankees traded a few extra bucks to avoid that third guaranteed season. I’m cool with that. I didn’t love the idea of guaranteeing Happ’s age 38 season in 2021.